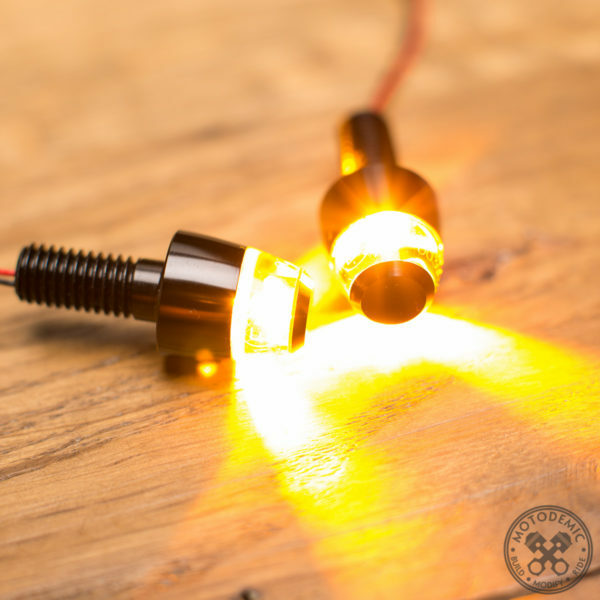 The motogadget m-Blaze Pins are extremely small and super bright turn signals. 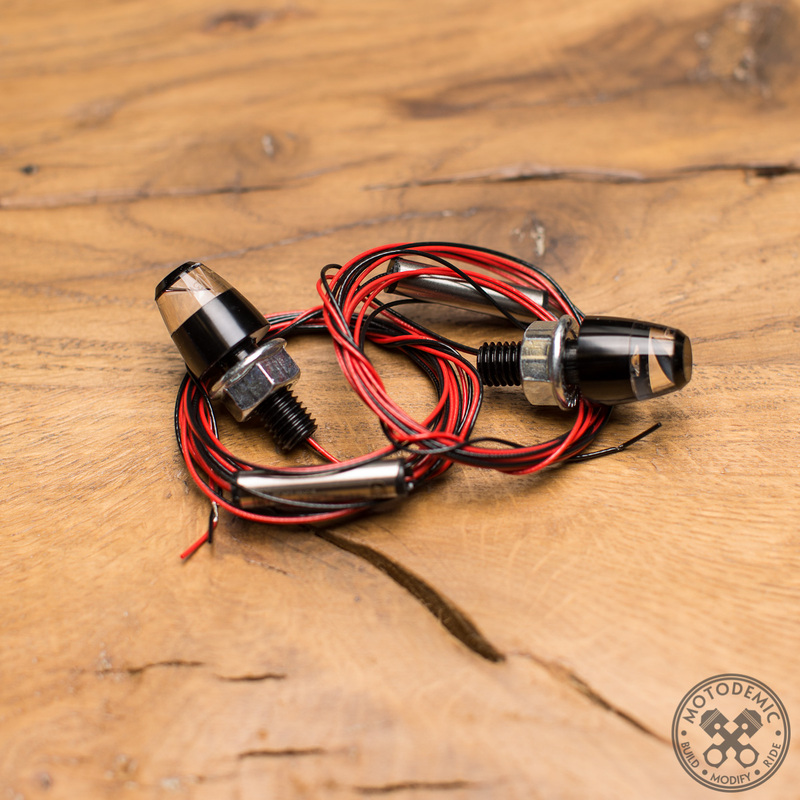 Pre-Wired – Inline bullet connectors to pass through 8mm nut and connectors to match your factory harness. Allows for plug and play installation. These signals are 2-wire and only cover the turn signal function! If your model has 3 wire signals (running lights) additional wiring may be required. Install adapters allow for installation in stock signal location. 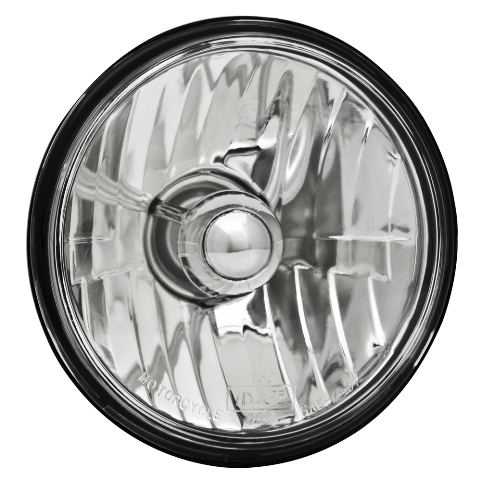 See Product Description for Fitment – Typically only one resistor per side is necessary and can be installed inline either on the front or rear turn signals. If you already have an integrated LED tail light, chances are you already have resistors or the correct flasher relay. Only select pre-wired resistors if you are also selecting pre-wired turn signals! 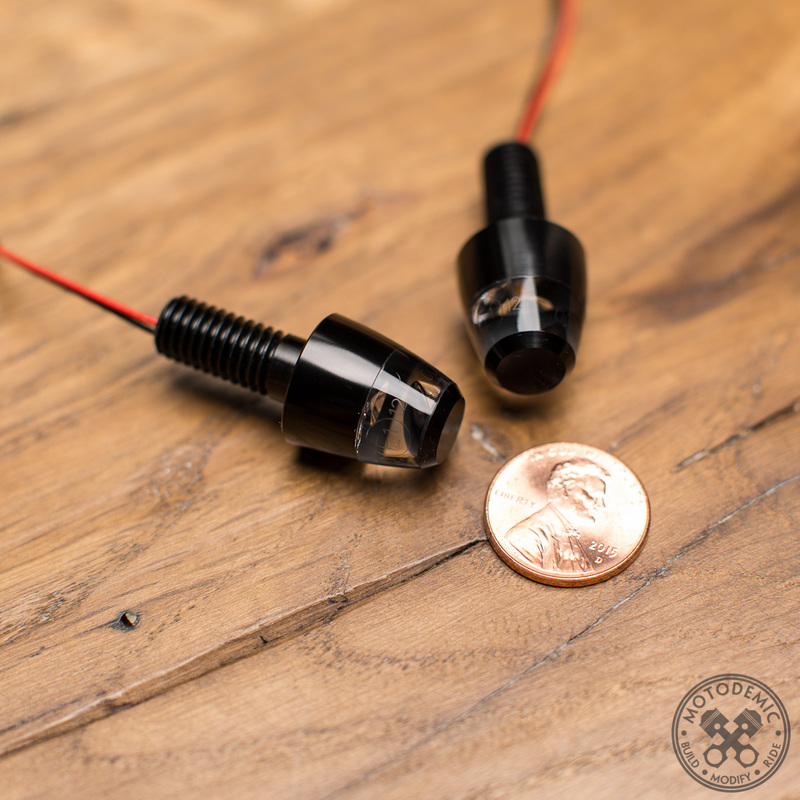 The motogadget m-Blaze Pins are extremely small and super bright turn signals. 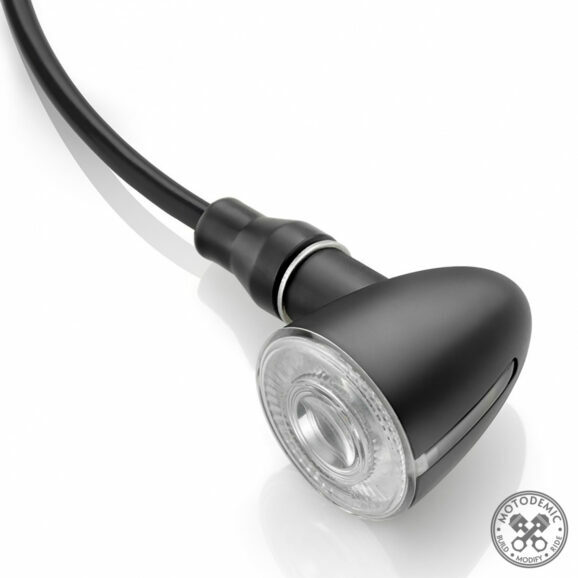 The IntesiLED SYSTEM enables an extremely bright and very evenly distributed light. 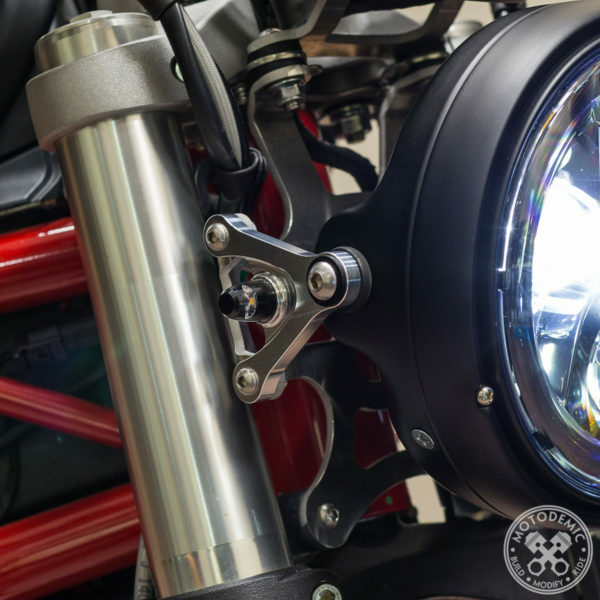 High-quality turn signals in a very small form factor. 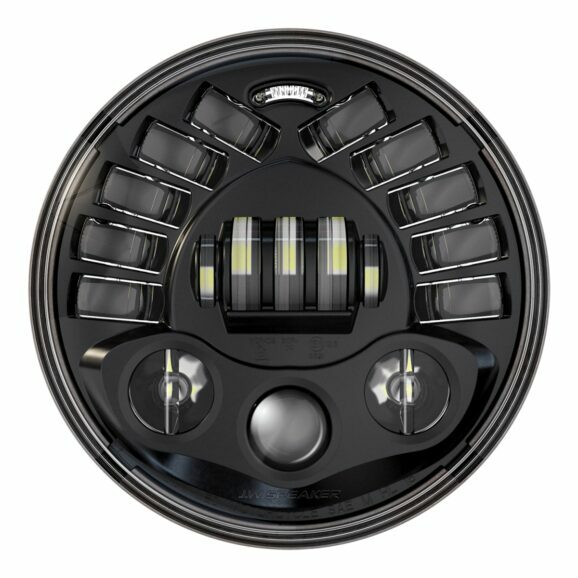 There is a small directional reflector in the design of the lens but the signal can be seen from the “backside” as well. The aluminum casing is CNC machined and anodized black. Has built-in electronic voltage conditioning by IC controlled constant power source. The turn signal can be installed like any other LED turn signal with load resistors. Relay/Resistors – Eliminate “hyper blinking” by adding either inline resistors or swapping out your flasher relay. Typically only one resistor per side is necessary and can be installed in-line either on the front or rear turn signals. If you already have an integrated LED tail light, chances are you already have resistors or the correct flasher relay. Only select pre-wired resistors if you are also selecting pre-wired turn signals. 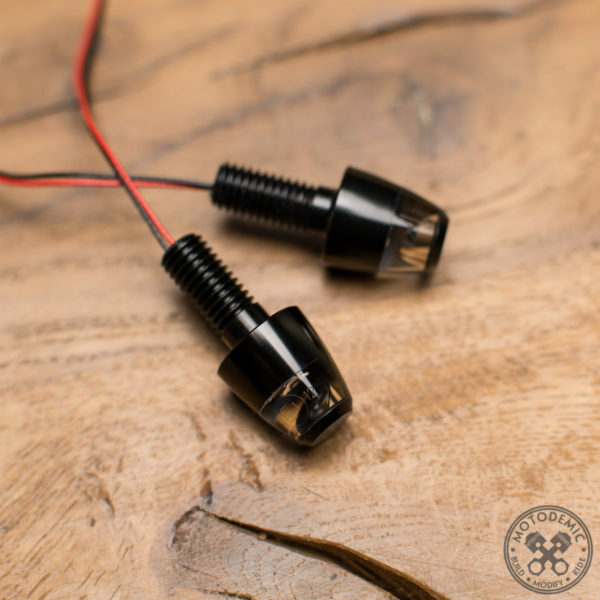 Be the first to review “Motogadget m-Blaze Pin (Pair)” Click here to cancel reply.